Good question. "Losoil" is a combination of Tolkien elven prefixes that translates into the English word "Snowstar." 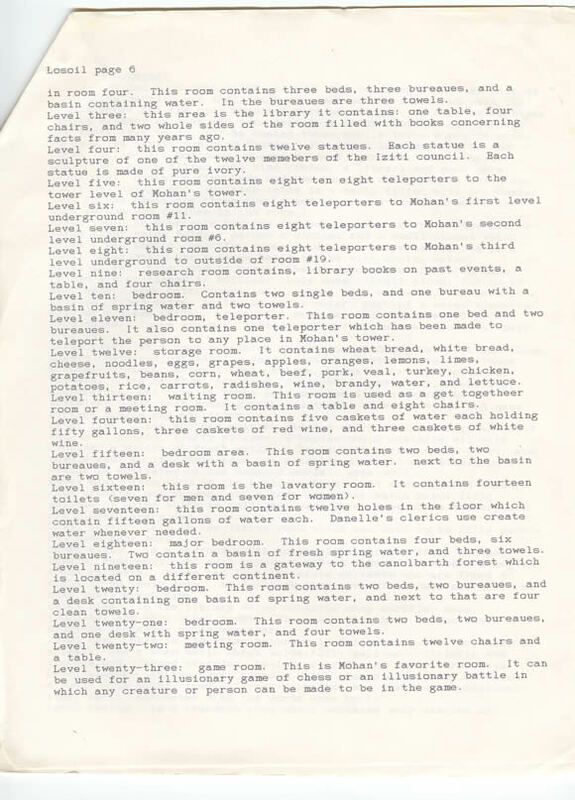 About 18 years ago, I had a dream back in high school about a wizard named Mohan who lived in the Losoil magical tower. Over time, Mohan became a central part of my fantasy novel "Dorothea's Song" and years later I've finished the piece and am actively searching for a publisher for my manuscript. 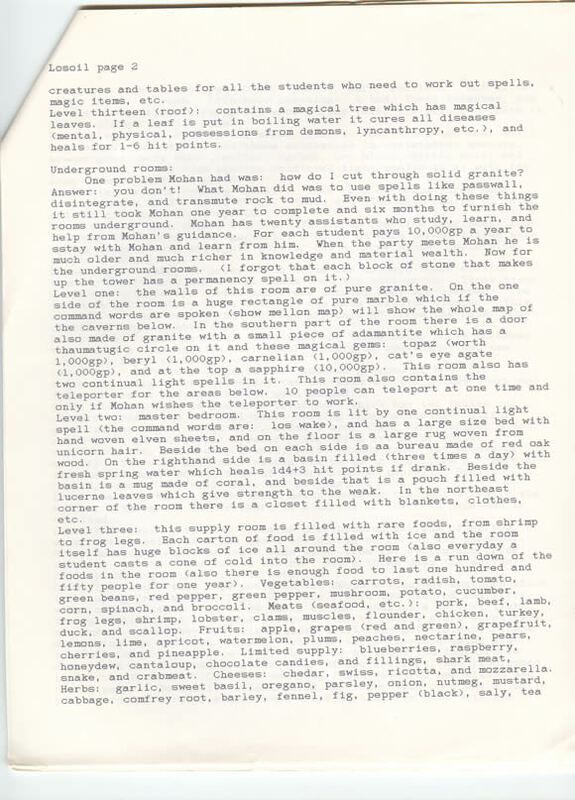 In reviewing my archives recently (okay, a folder of old stuff in my basement--but "archive" sounds better), I came across my original writings and maps of Losoil. 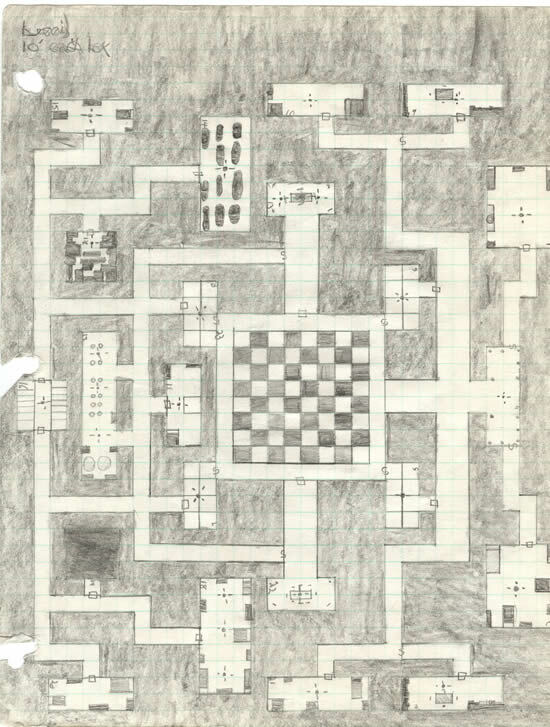 I thought I'd kill two birds with one stone: If I scanned the materials, I'd not only have a digital record of my nearly 20 year old materials, but I would also be able to share the maps and descriptions with you. 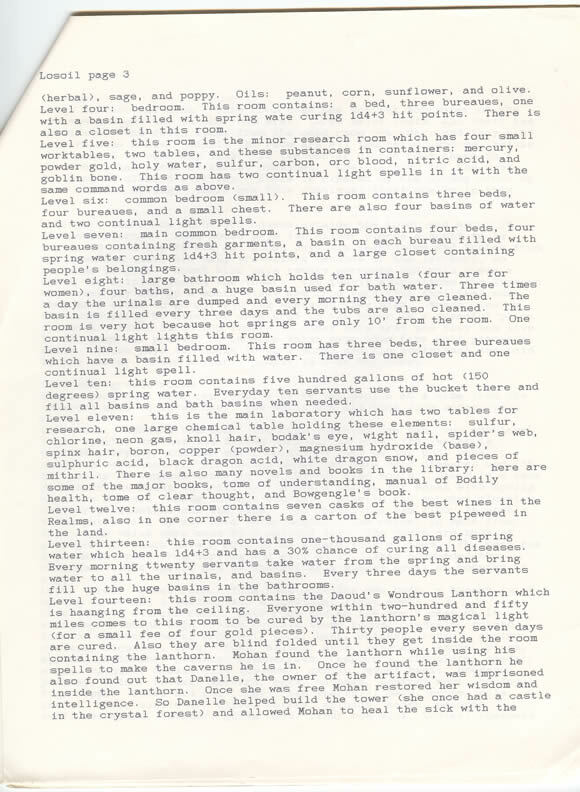 Remember, this material was written when I was 16 years of age. It's old a heck, but I think it's fun to look back and see what I was working on back then. 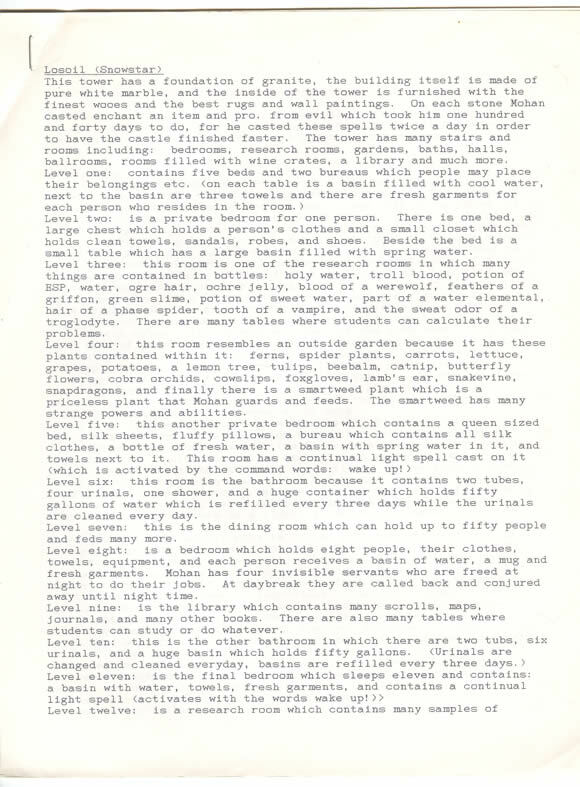 Below is a gallery of images showing the tower, its three sub-levels and then scans of my original (from the mid 1980s) typed descriptions of the contents of all the rooms. Older PostGoop: Play another Card Game!